The original art was created with a combination of acrylic on canvas and Amatic font. 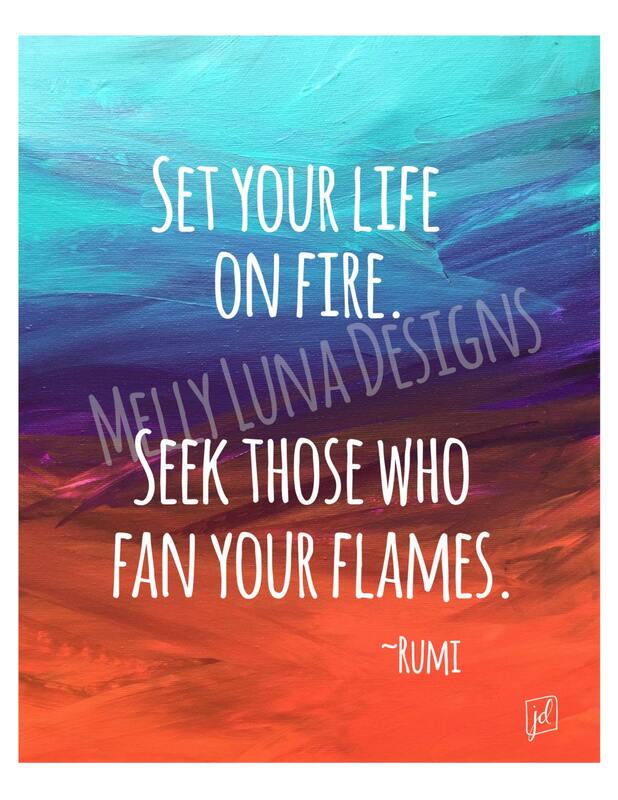 It features a Rumi quote that I love - "Set your life on fire. 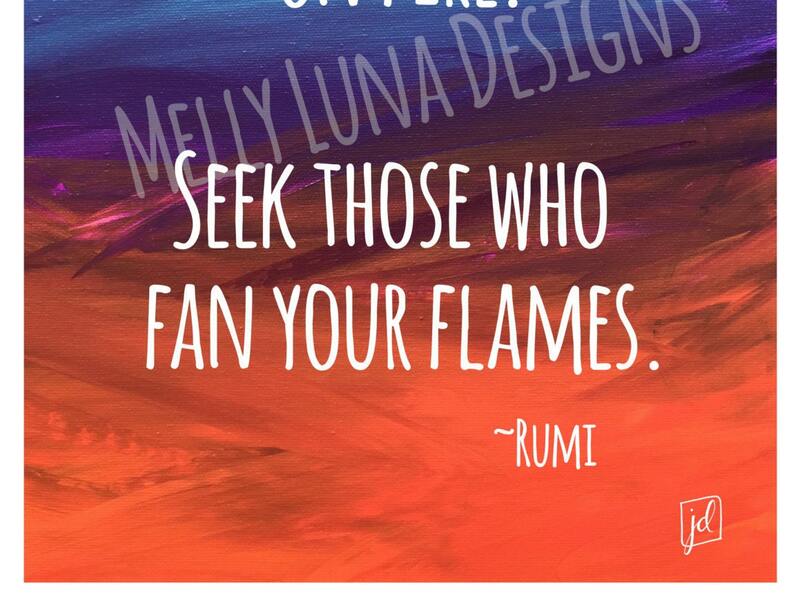 Seek those who fan your flames." The background was painted in acrylic to resemble fire and ice. The print has a slight border as it was printed (and centered) on the 8.5” x 11.” You'll receive the print only — it does not include the mat, frame or any other props shown.